Trailer for upcoming Japanese film "Outrage Coda"
While Hanada is in South Korea on a business trip, he kills CEO Jang’s subordinate. CEO Jang holds tremendous power in South Korea. 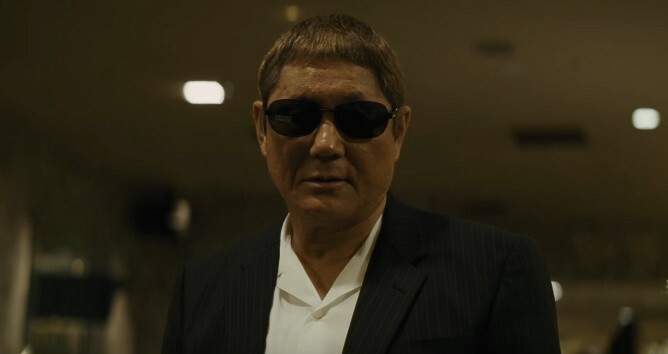 A highly volatile situation between CEO Jang and Hanada's yakuza group Hanabishi kai. Meanwhile, internal conflict breaks out in Hanabishi kai. Otomo, as an employee of CEO Jang, travels back to Japan. "Outrage Coda is the third and final instalment in Kitano’s Outrage trilogy. Starring alongside Beat Takeshi are Toshiyuki Nishida, Nao Ohmori, and Pierre Taki. Asian Film Vault: Trailer for upcoming Japanese film "Outrage Coda"